In 1974, Surgicare of Wichita, formerly The Surgery Center of Wichita, opened as the second freestanding outpatient surgery center in America. 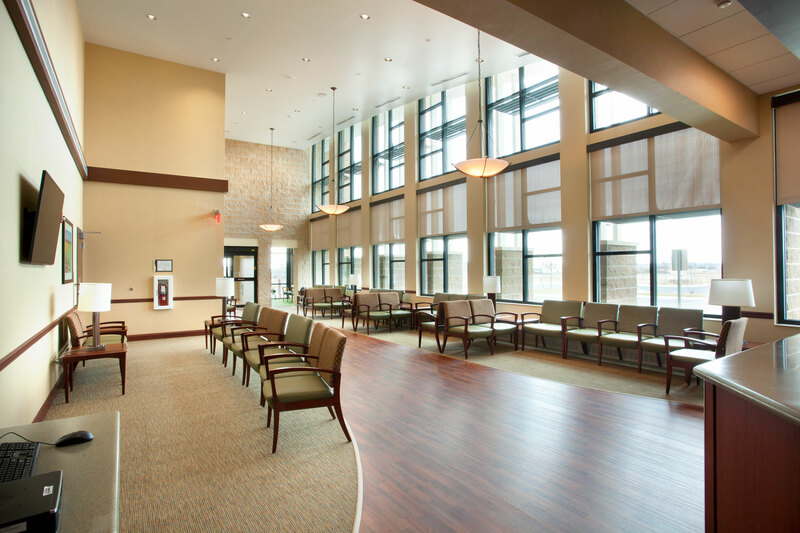 After 39 years of practice at its original location, the surgery center outgrew its space and tasked Inner Design Studio with creating a fresh and timeless interior design for its new 26,500-square-foot location. In the main lobby, designers used a soothing canyon color theme of rust red, sage green and warm tan against dark cherry and maple moldings and furniture to emphasize the ﬂoor-to-ceiling windows and abundance of natural light. The ﬂooring contrasts dark cherry wood and tan carpet tiles to create smaller seating areas and a high trafﬁc pattern that naturally leads guests to the reception desk. 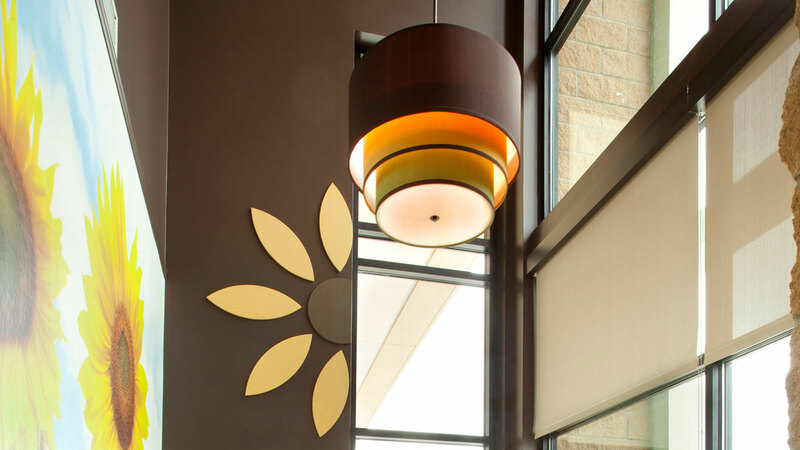 Off the main lobby, the children’s play area received a cheerful, sunﬂower design inspired by the Kansas state ﬂower. Working with sunﬂower-themed color palette of brown, golden yellow and kelly green, designers tied the space together with a custom wallcovering of children holding sunﬂowers and ﬂower-patterned upholstered chairs. 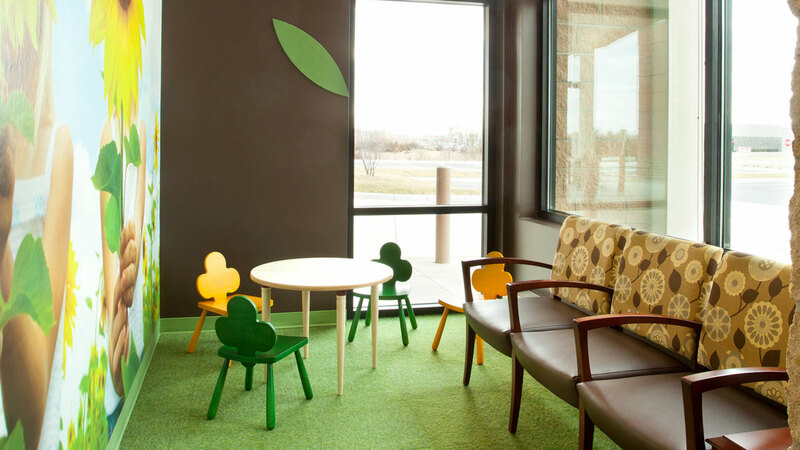 To minimize the play area’s 32-foot ceiling, designers hung a custom, triple drum shade lighting ﬁxture, installed acoustic wall panels that were cut out to form a sunﬂower, and used kelly green carpet tiles to mimic the look of grass.